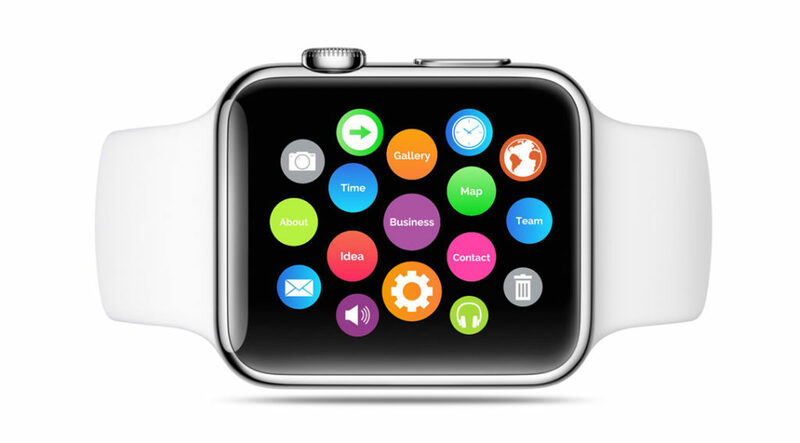 Present your content inside the famous Apple smartwatch screen. A Prezi Next presentation template with a smartwatch concept – colorful circle interface on a digital wristwatch screen. Talk about wearable technology or internet of things (IOT). Present about how the world is becoming more connected to technology and how the the digital devices, and most ironically the clock is taking up all of our free time. Customize the colors of the topic circles and add more topics for your content. Easily replace the white background with a more suitable color for your presentation. The Apple smartwatch – it can even detect your broken heart… it’s a small ECG on your wrist, which gives you low and high heart rate notifications, fall detection and even Emergency SOS calls. So if your making a presentation about smartwatches you’d better be wearing one of these devices yourself. In case you are failing your presentation and your face turns red on the stage, the clock might alert you to sit down! The presentation starts with the smartwatch on a white background and small colorful circles on the screen. Advance by starting to zoom inside the topic circles, and the 3D background changes to a blurred space galaxy theme, most commonly seen as the OS X background image. Arrange all the elements on the clock screen and add icons that are more suitable for your. Change the color of each circle individually to match your branding style. Time’s up now… get ready for your presentation! 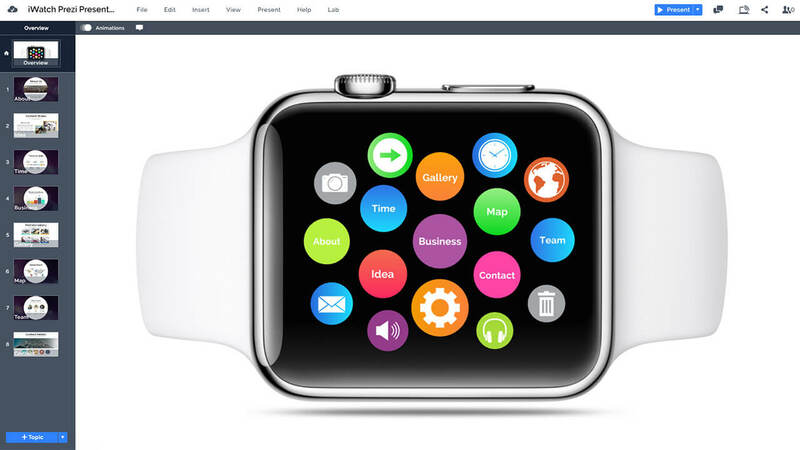 This entry was posted in Best Prezi presentation templates, Prezi Next Templates and tagged apple smartwatch presentation, apple watch, apple watch presentation, apple watch presentation template, clock, IOT, presentation about smartwatch, presentation for smartwatch, presentation on smartwatch, prezi next template, prezi next template apple watch, prezi next templates, samsung smartwatch presentation, smart watch, smartwatch, smartwatch control presentation, smartwatch paper presentation, smartwatch powerpoint presentation, smartwatch presentation, wearable tech, wristwatch.